This kippah, or yarmulke, adds a lot of flair to the original all-black style. It is sewn together from four individual sections. 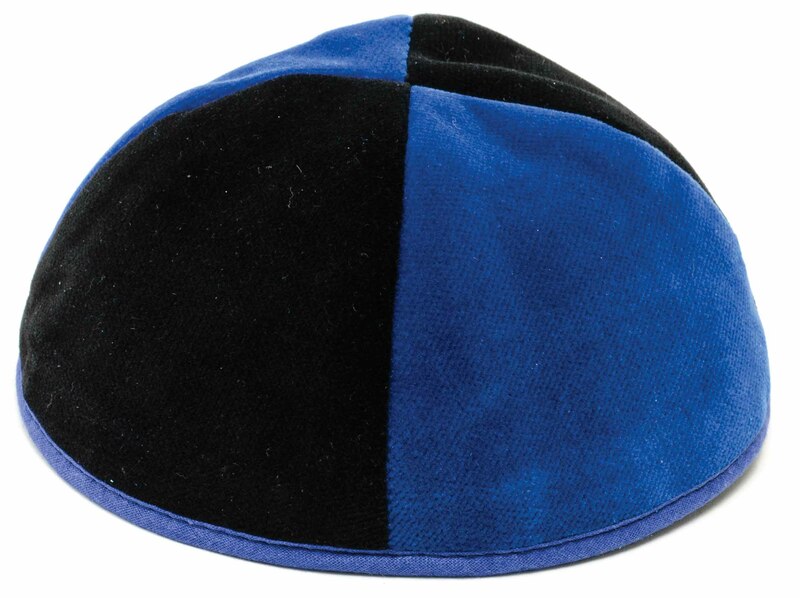 Two sections are identical to the material of the original black velvet yarmulke and two sections are from blue color velvet. The kippah has a thin ribbon sewn on the bottom of the kippah as a rim. The kippah is available from size 3 through 6.